WinSorter (Windows) - Manipulates/Sorts Text at a Snap ~ Android Forever! This handy app sits quietly in your system tray. When you have some text you want to work with, just highlight it and click on the system tray icon. 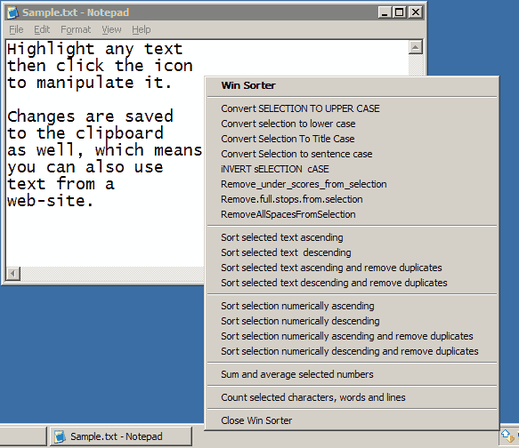 You'll see a boat load of options showing what you can do with the selected text, like converting its case, removing underscores, sorting, summing numbers and much more.